Sort of a Jalapeno popper but no breading and an amazing cream cheese topped by Tex-Mex sausage. Bar snacks you can make at home!!! Oh Boy... Bar Snacks! . My favorite type of recipe. 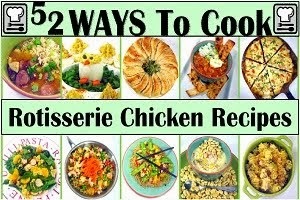 Fast easy and you make these with just the dribs and drabs cut from the chicken carcass. The Earthy savory taste of cashews blends with the clinging sweetness of the candy corn. The ultimate snack mix, easy, fast and DELICIOUS! Perfect for a big holiday party.. Marinated in wine and premium Olive Oil, these become so amazing. 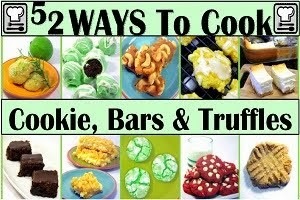 THESE ARE SOOOOO EASY... Really, just a single ingredient (but you can add extras if you like). Made with meat from a store bought rotisserie chicken. LOADED with plenty of extras but the star is the CAJUN SPICED AIOLI! 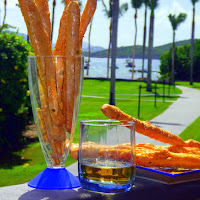 EASY Bar Snacks at HOME! Restaurant/bar quality onion rings at home... plenty of crunch! There is a secret ingredient. Loaded with nutty tasting Parmesan Cheese, Cheesy snack crackers and best of all, the savory creamy goodness of Ranch Dressing! Salty, Savory, Cheesy and DELICIOUS and EASY and FAST !!! These are my very favorite thing to serve with soup. I can flavor them as I like, either Taco flavored, Cajun Spiced, Old Bay Spice Mix... Even Savory ranch flavor. Simple and fast to make... EASY PEASY! Beautiful stunning swirls of Cheddar Cheese baked right into the bread. Soft and chewy Wheat bread made easy in a Bread Machine! Just the right amount of crispy, tender breading with that light hint of the island life. PERFECT! Just right for honey dipping! 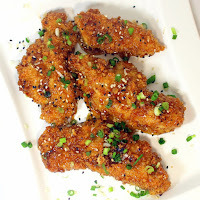 The perfect wing... hints of Asian flavors with the beloved Sriracha HOT Sauce, cooling sweet honey and bourbon! OH BOY Chicken Fingers... But Not just any Chicken Fingers, these are baked with a crispy coating of Nutty Cheesy Parmesan with hints of savory Herbs. Fantastic Appetizers for a group with sensitive (No Hot Spices) Tastes! Alabama White sauce is mostly Mayonnaise thinned with Cider Vinegar and spices to create a near perfect sauce for chicken. Wings, loaded with Cajun flavors, loaded with the classic Alabama white flavors my very favorite flavor of Chicken Wings. These have a Heat spicy flavor while at the same time there are hints of sweetness. The pin include a recipe for meatballs (Pork a Tube of Sausage upgrade), as well as a recipe for Sriracha Ketchup, Plus the sweetener. A terrific Vegetarian Appetizer. Best of all uses mostly dribs and drabs leftovers to make this Sweet with hints of spice snack. Colorful and delicious! 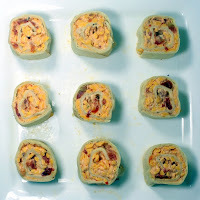 Salami Cream Cheese Roll-ups Pinwheel Appetizers on a Ritz! A delicious ring of thin sliced hard salami spiraled around sweet cream cheese and dotted with roasted red bell Pepper pimento pieces. and more! Thin sliced tomatoes, cucumbers and red onions wrapped in Deli Meat and all held together with sweet creamy Cream Cheese and seasoned with a bit of Cajun Spice and you have a terrific LOW CARB sandwich wrap! 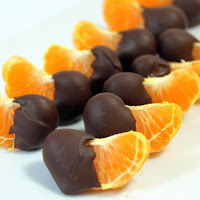 These are so easy and fast to make and a family favorite! Store bought tube of biscuits turns these gems into a fun night for all And INDEED FAST FAST EASY EASY!!! Andouille Stuffed Pork Loin... World's BEST Pork Chop for Sliders. 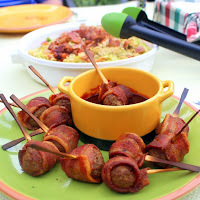 This gem of an idea uses a precooked sausage, the near legendary Spicy Cajun Andouille Sausage! Sweet pork surrounds the spicy Andouille... YUM! These ARE ABOUT AS GOOD AS IT GETS. 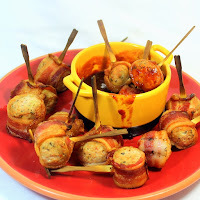 A wonderful party appetizer, really sets a tone for an outdoor event (tailgating anyone?). Roll these out and you know something fun is going to happen. 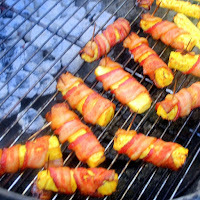 The pineapple comes out warm and incredibly juicy and of course... BACON! 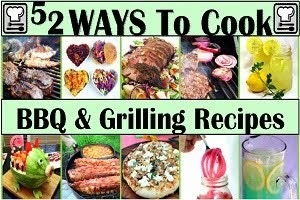 Tips for grilling or to bake in your oven. ENJOY! Yep... BACON BACON BACON with a sweet creamy savory Cream Cheese and BACON filling all wrapped in a Wont Ton Wrapper, sealed and Baked (Not Fried). 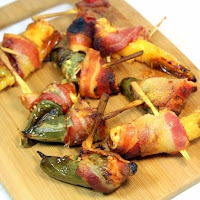 Could be the perfect hand held Appetizer for any party! And a great DIY Idea as you can stuff these pillows with almost anything (Think Lasagna for an outside the pillow idea)! This is a wonderful alternative to a dinner roll. Using simple to prepare Pizza Dough, these sticks are loaded with cheese and seasonings. Soft and chewy like a roll, Cheesy and seasoned like a Quesadilla... Hints of a pizza... All in a hand hold Appetizer! I love these... And such a simple DIY Project, hard to believe I don't make them every day. And almost good for you, certainly better than "ordinary" Chips. The Seasoned salt is BACON SALT! but tips for making any seasoned salt in the post. Addictive, bet you can't eat just one! 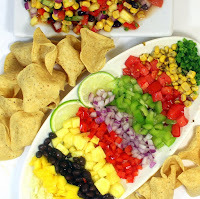 These "party trays" are usually reserved for a party. 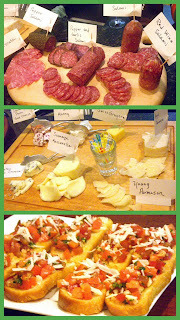 Selections of various meats, cheeses, maybe a Bruschetta (toast with a topping). They are ideal for a party since all of the work can be done before the guests arrive. The advantage to trays like this, in addition to their ease (no cooking) is the tone that they set for the evening. The trays allow guests to mix mingle chose what they like. It gives the hosts a chance to make sure drinks are served and the evening starts relaxed. The course can easily take 30 minutes or more allowing late arriving guests to make the party and meet any new friends they have not yet met. Simple and a sure winner of a n Antipasto course! Pizza Making 101 with recipes for Dough, Sauce and all the Techniques for pizzeria restaurant quality pies at home! This is the classic "original" Italian pie made to honor the Queen Consort of Italy, Margherita of Savoy (and not the tequila drink)..
Oh My... This takes a little planning as the tomatoes and garlic need to roast slowly in an oven for 2-3 hours in order for the natural sugars in the tomatoes to sweeten to near candy taste. Planning and time, but these are worth it. Simple and DELICIOUS! 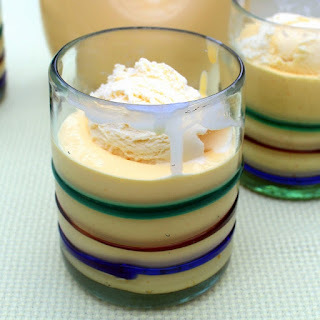 Easy to make and a crowd pleaser! Here's a basic recipe that I turned into three very different tastes... Sea Salt and Herb - Savory caramelized Onion - and the show stopper Sweetened Blueberries. Sets a nice tone for an Antipasto course, portable, easy to eat and gets the party talking! A beautiful rustic bread, loaded with a light delicious Olive Oil and topped with Herbs, and a fresh seasonal tomato. 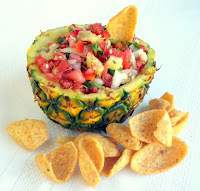 A beautiful appetizer and easy to make! Salad in the style of Capri... A very simple (three ingredients, 4 if you count sea salt), so FRESH and flavorful ingredients are a MUST. But well worth the hunt as the reward is one of the classic salads of the world. Ignore the Salami, I just added that for a bit of a heartier lunch. the post has tips for finding and buying the best ingredients, even in winter. The vegetable version of the story of the ugly duckling. Locally sourced, Fresh and filled with flavor. This is that rarest of salads that simply will not be the same in January when hot house tomatoes and vine ripened fresh leaves just a bare bones hint of the taste of a truly fresh Heirloom Tomato! So, if you never have, give those gnarly ugly beasts a chance. 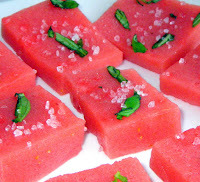 Slice a few, add a little cheese and some fresh basil and give yourself a seasonal treat! Start with Tuscan Garlic Toast and add a delicious Italian tomato salsa and you have a classic dish to start the celebration for an olive harvest. Perfect example of Italian cooking, simple ingredients that SHINE! Plus, Crostini and Fettunata are explained. These are a wonderful little addition to any dinner. Creamy sweet polenta topped with savory onions and mushrooms, seasoned with fresh thyme and added to the "sandwich" is a sweet Mascarpone cheese sauce. Dramatic rustic presentation is sure to please! Beer Nuts - Sweet Heat Candied Snack!!! THIS IS FANTASTIC! The beer is sugared and heated to make a delicious easy FLAVORFUL caramel candy sauce. Add a few spices, mix with roasted nuts and you have an AMAZING Bar Snack at home. A terrific appetizer! Pizza Bread... made with BEER BREAD! For the crust used a slice of the EASIEST to bake of all breads, BEER BREAD! For the toppings, the classic original Italian pizza, the Margherita (named for an old queen, not the tequila drink)... Tomatoes, Mozzarella and Basil. WORKS GREAT AND FRESH HOT HOME Pizzeria QUALITY IN MINUTES! Louisiana Crab Cakes with New Orleans Remoulade Sauce... 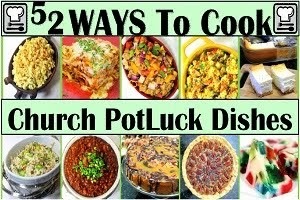 Lent season is coming so I am working on my Fish on Friday recipes! DELICIOUS OLD SCHOOL Crab Cakes with just a few touches of Louisiana! Sweet - Salty - With a Royal Presentation - AND DELICIOUS!!! OH BOY FLAMING DISHES! It is very simple to Flambee a dish and this dish is about as perfect as it gets! The Shrimp are cooked in a butter rich garlic sauce along with cherry tomatoes. Then just a couple minutes before serving, add a little liquor, light the fumes and you have a dramatic presentation and delicious aftertaste. PERFECT FOR A DINNER PARTY! Fast Easy... Open a can and a package... Spice, Mix and ENJOY! An Italian Classic gets a Party Appetizer on a Stick update. 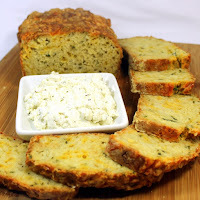 Recipe includes a terrific flavored DIY Garlic and Herb Tutorial. GREAT LOOK EASY, TO DO and DELICIOUS! It's that time of year again where you can head to any fair and see the stands of fried oddities. 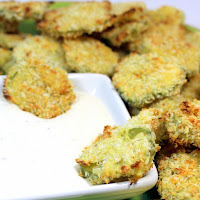 One of the originals that has caught on with the trendy Bar and Grill restaurants are Fried Pickles. Well, here's a version, loaded with spices and flavors that will excite any health conscious snacker. BAKED, not fried in oil, these are a treat you can eat at home year round, fast and easy to whip up for any occasion and they will disappear FAST! 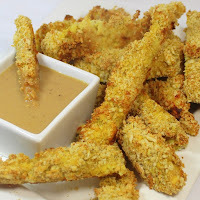 Baked (healthy) crispy and VERY FLAVORFUL chicken fingers with an Asian peanut dipping sauce. VERY easy to make and a crowd pleaser. The rustic Curry seasoning brings out the best in the chicken... DELICIOUS! 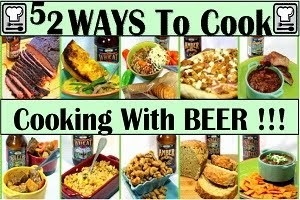 And indeed, beer bread is the easiest of all breads to make. And this one is LOADED with herbal hints and the fantastic Beer and Cheddar combination! Double the cost taste for half the price from your wallet!. Shh... Don't tell anyone but these are more Chicken Fingers than Boneless Chicken Wings, but truthfully, most boneless wings you pay a lot for at a restaurant are actually cut up breast meat. I have several recipes and ideas that start with the SALE FLYERS in the paper. This is one of those. 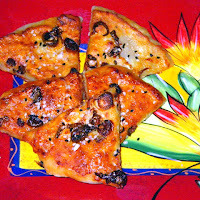 CHEAP very EASY, BAKED (the illusion of healthy), KID FRIENDLY and Delightfully DELICIOUS! I LOVE this recipe, two types of melty cheese, deep flavored beer, made creamy with sour cream and pretty with spinach (and the illusion of healthy). And be sure to use Doritos TACO CHIPS... YUM INDEED! 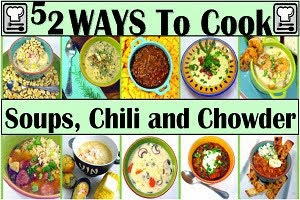 Perfect updated over the top recipe and glorious presentation, LOTS of spices and even a full cup of minced CHICKEN to really hearty these up!!! And what party would be complete without jello shots??? May as well make a grown up version, complete with basil and Sea Salt. You'll never go back to the cheap stuff again! Cin Cin and bottom's up. My wife and I are Empty Nesters... No Kids... BUT recently we got to spend the day with 7(yes) SEVEN of our Nieces and Nephews (ages 6-12)...AND IT RAINED. This was our rainy day activity for the boys. We spent an hour and they were captivated. RASPBERRIES, BLUEBERRIES, MARSHMALLOWS and a little patience and we made our afternoon snack! 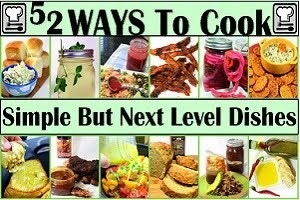 It really is fun, entertaining (dare I say nutritious) and EASY! The recipe is very simple and as good as any restaurant. I made this out of anger after being overcharged for a terrible dip. This one is thick, rich, LOADED with artichokes and spinach, DELICIOUS and you CAN EASILY DIY at home! I LOVE Wings and these are about as good as they get... Hints of Asian spices, Sweetened for a delightful flavor and spiced up for that touch of heat with the Red Rooster Sriracha Sauce... THE BEST! Thru a quirk of fate my 2 year old Nephew lives with me... I make this bread for him... Raisin bread has become his favorite, so I love to make this with him. And like I said... Bread machine easy and delicious. Much better than the store bought... And yes, in my house, this loaf does have a little extra love mixed in! Raisin Bread... Remy Approved!!! These are the BOMB of Holiday Leftovers. A little Cranberry Chutney (recipe included), A little Holiday Pistachio Ham (Recipe included) all on a WONDERFUL Best I ever had Cornbread Rosemary Muffin (Recipe included)... This is the stuff of miracles by the light of a refrigerator bulb... ENJOY! Appetizers and Holiday Leftovers Ideas... I LOVE THESE LITTLE GEMS! Think Cinnamon Rolls but add a savory ham and cheese. And like a cinnamon roll, the secret treat is the sauce. 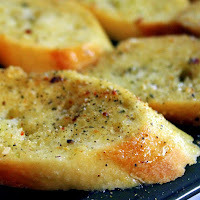 A Worcestershire and mustard drizzle that makes these memorable and AMAZING! 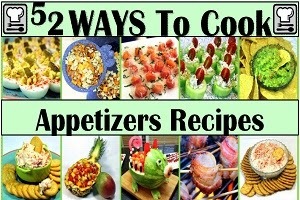 52 Appetizer Recipes... This may become a signature dish for me. 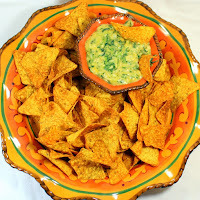 INCREDIBLE and wildly popular at a recent pass a plate of appetizers party. 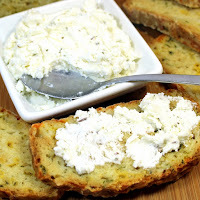 Same dip made famous as a bar snack is stuffed into a hollow bread and toasted along with a crunchy topping of garlic butter! 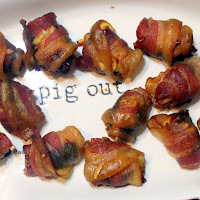 Pound for pound these are the most cost effective appetizer I make. It also just SCREAMS Christmas Colors.They wind up costing about a quarter a piece, add just a shade more cost with the optional addition of a few Pistachio (again, green for Christmas). 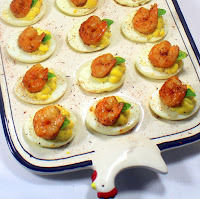 A VERY inexpensive Very EASY DIY appetizer that really stands out! Brandy Brandied Fruit for a Party! Here's a quicky little recipe perfect for Holiday parties. The fruit soaks up a sweetener (simple Syrup), plus the hint of Brandy. Sweet fruit, a little booze... Sounds like a party to me! Enjoy indeed! 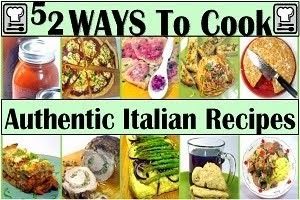 52 Appetizer Authentic Italian Catering Recipes... The classic Italian dish, meant to celebrate all this fresh and seasonal! Oh, AND EASY EASY EASY! A wonderful little appetizer. Like a little pizza. 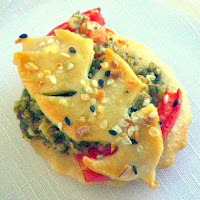 Stuffing is a simple to make Pesto filled with herbal nutty cheesy flavors and a fresh tomato slice. These are top rate beautiful to serve at a party but easy enough to slap together just for a special watch party for one person. Love these!